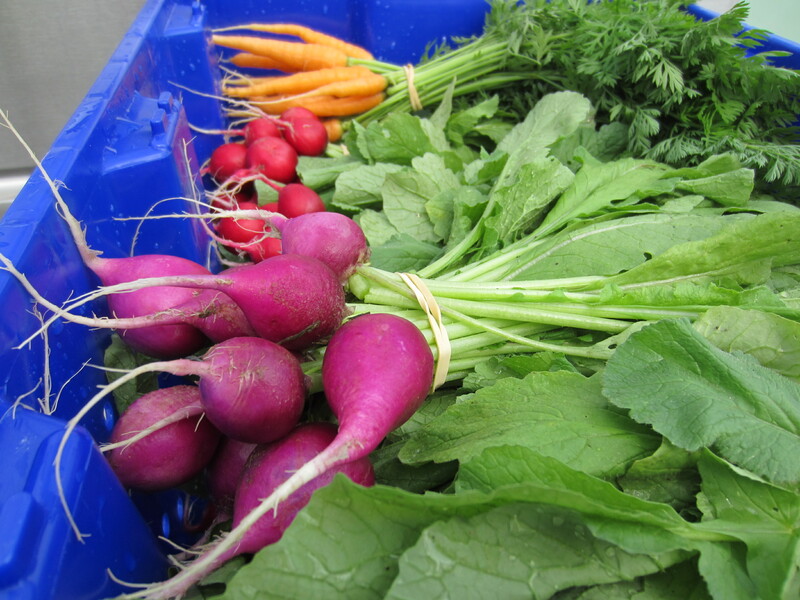 Tis the season for root crops, tender greens, and the last of summer veggies. We started harvesting our ginger crop a few weeks ago. 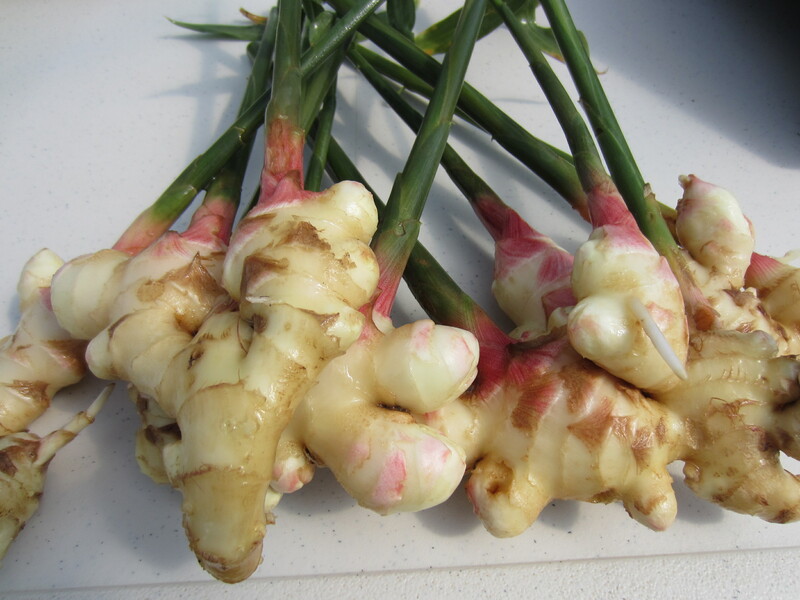 Fresh ginger is perfect for use in Asian cuisine, Indian dishes, green smoothies, soup stock, and tea. And pickled ginger! 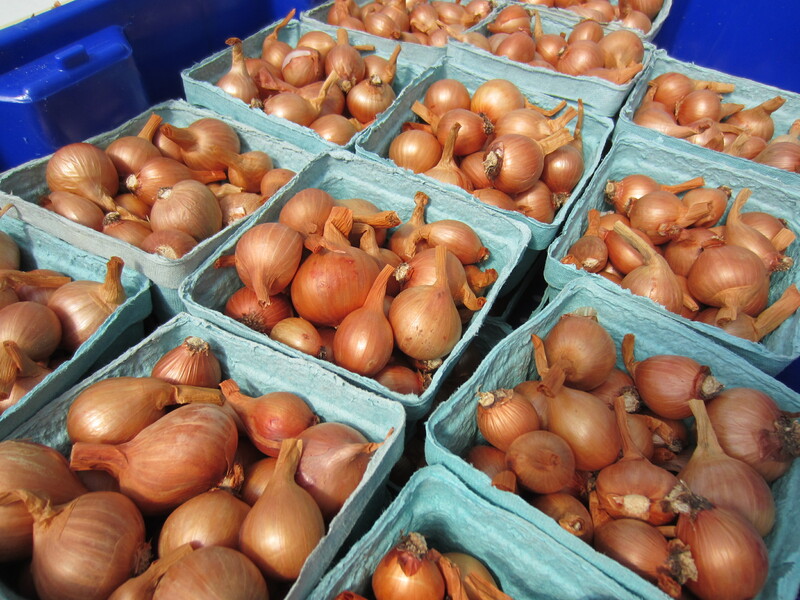 Our shallot crop was meager, but we did have a few pints for market. 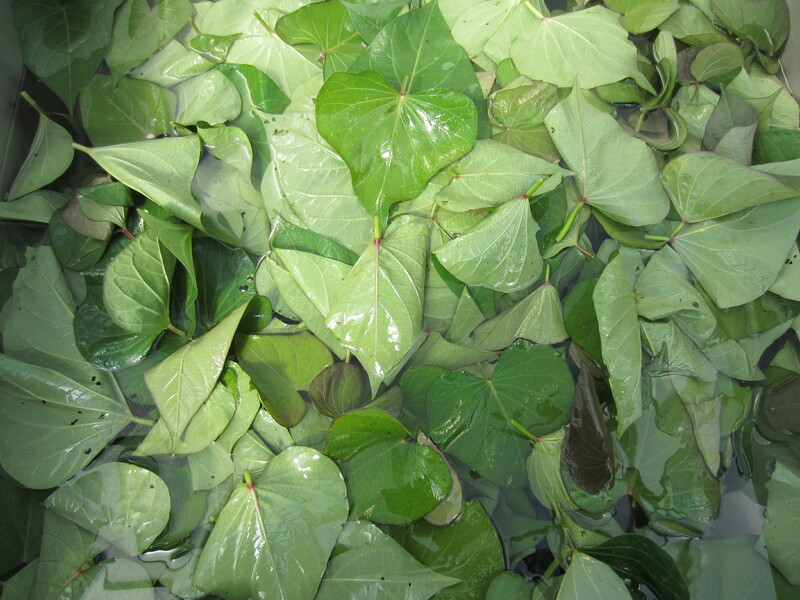 I recently discovered that the leaves from the sweet potato vine are edible. We tried them out and found them to be delicious, so are taking them to market… until we dig up all those sweet potatoes that is! I think they are best chopped and sautéed in olive oil with garlic and tamari. Of course, that’s pretty much how I eat most greens. 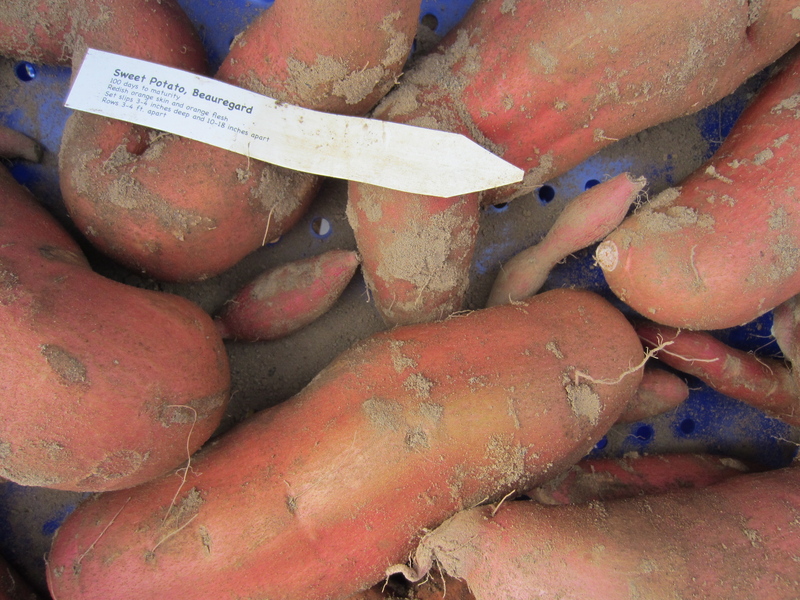 We grew three varieties of sweet potato this year; this is Beauregard. 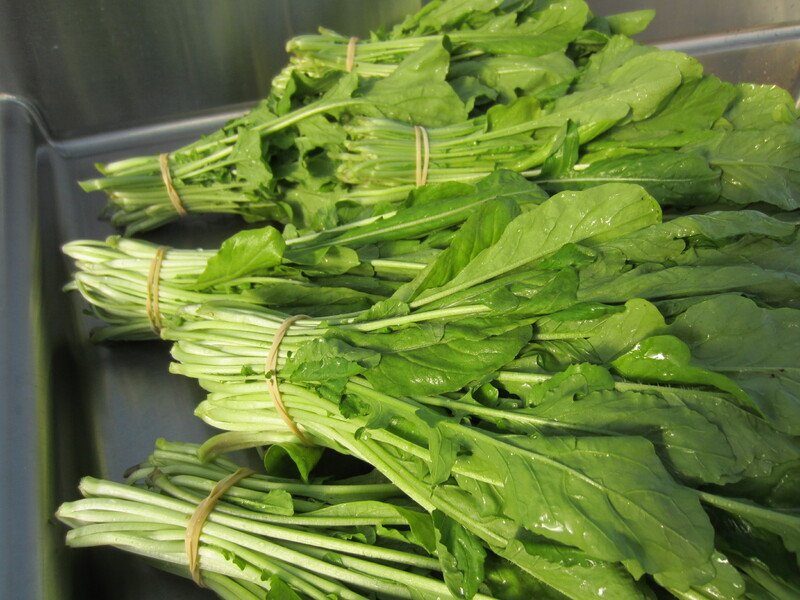 You are probably familiar with it as it is very widely grown. Our other varieties are O’Henry and All Purple. We have yet to do much taste-testing. Still a lot left to dig, and hard to find the time because it has rained so much lately. 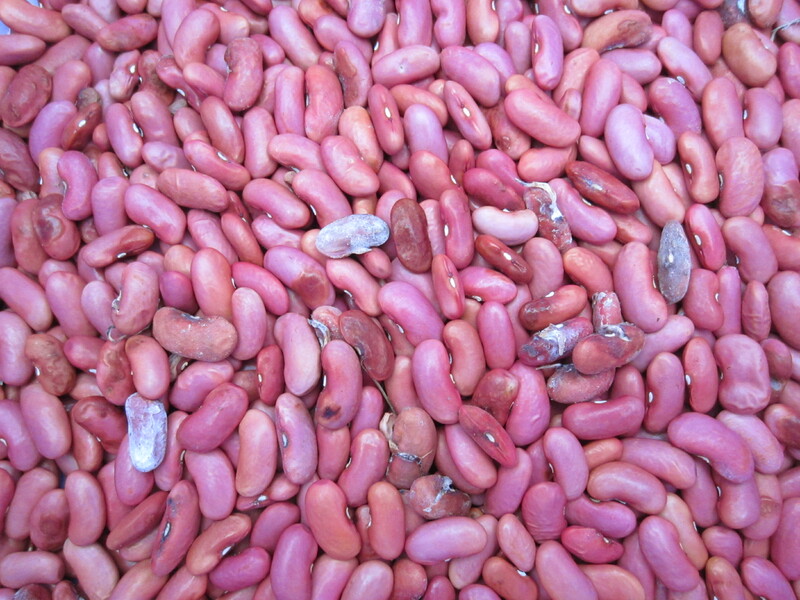 I did a trial planting of dried kidney beans this summer. Just to appreciate how inexpensive dried beans are at the store I suppose. 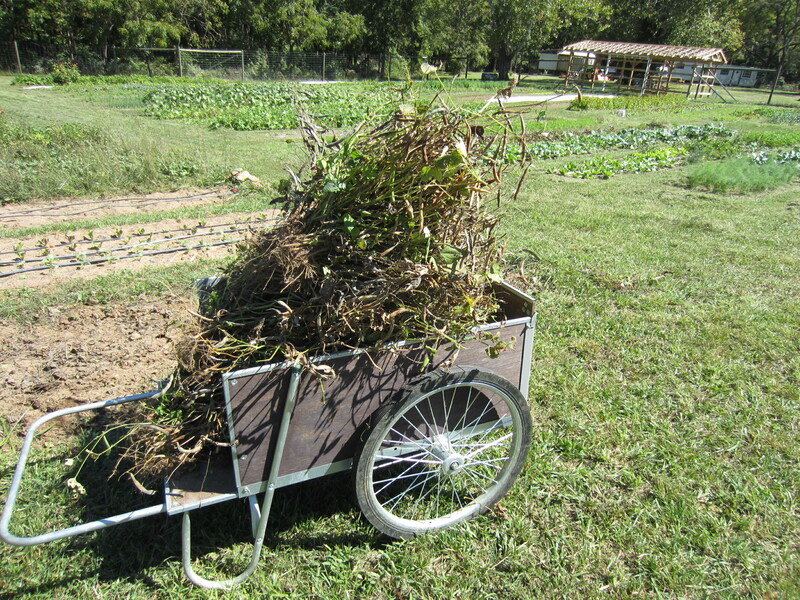 Here are the piles of bean plants after they had dried down in the field (far right row by the cart). I wonder how many pounds of beans this pile of bean plants will make? Probably not many. Gavin shelled a few this weekend. So far we have about a pound of beans. That’s a lot of work for something that costs only $2-3 a lb in the store. We would probably need a machine to make this work worthwhile on a larger scale. But it would be nice to be able to grow even more of our diet on the farm. It’s greens season. The greens look superb, and taste incredible! Usually I cut tiny leaves of arugula to sell bagged, but this week I had to cut whole plants to bunch because it grew so big. Okra towering over the kale and broccoli. If only all crops were this effortless. 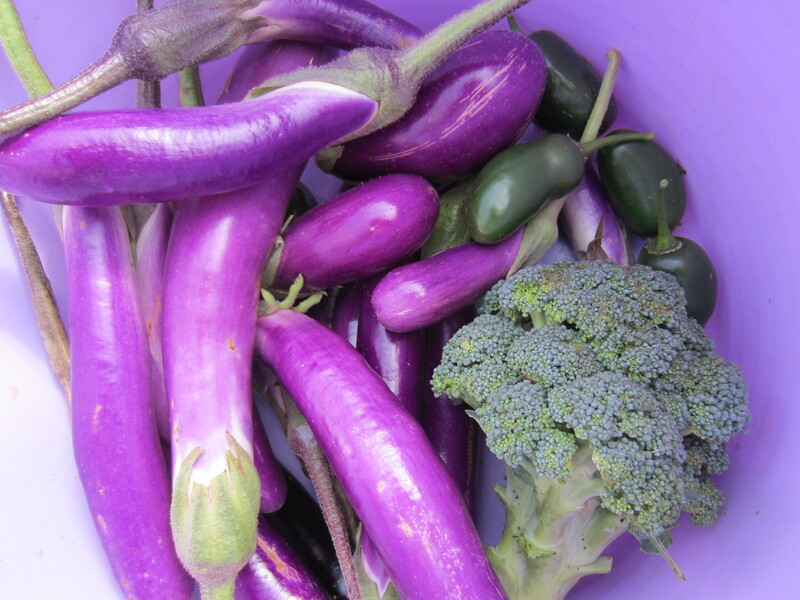 We won’t be harvesting eggplant or jalapenos for much longer. Last night the low was around 40, so we are preparing for frost. One poor little broccoli head survived from our first fall planting of broccoli. 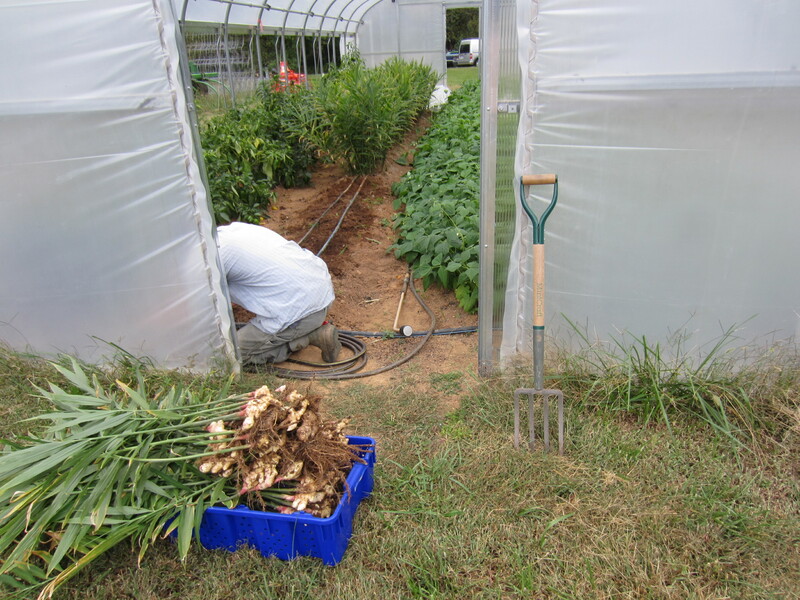 The rest of the planting got fried by the intense summer heat; many were eaten by grasshoppers before I even finished transplanting the row. Good thing is we have three more successions of broccoli and they all look fantastic! Lots of goodies at the market. 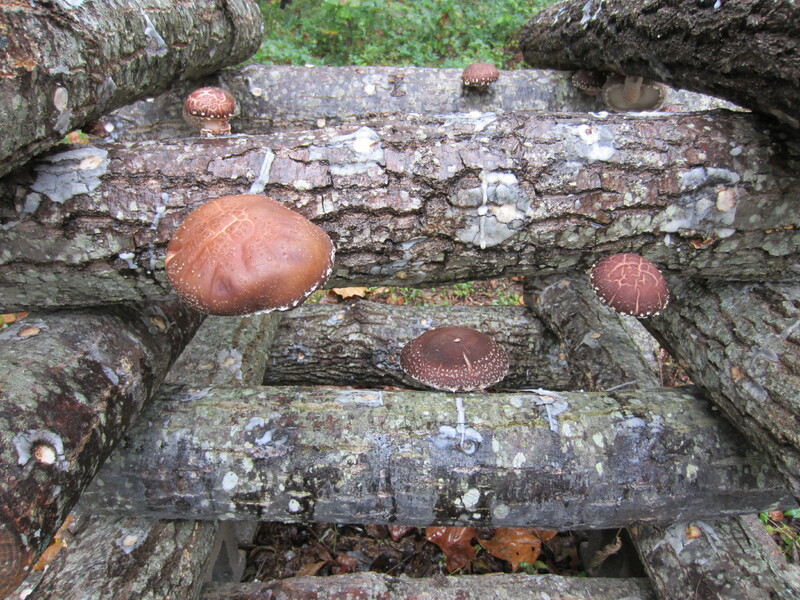 Our shiitake logs have started fruiting in quantity this week, much to our delight. I think we might even have enough for the farm shares and the farmers’ market. At least for a small taste anyway. This is such a great time of the year to grow, and frost is going to be bittersweet. 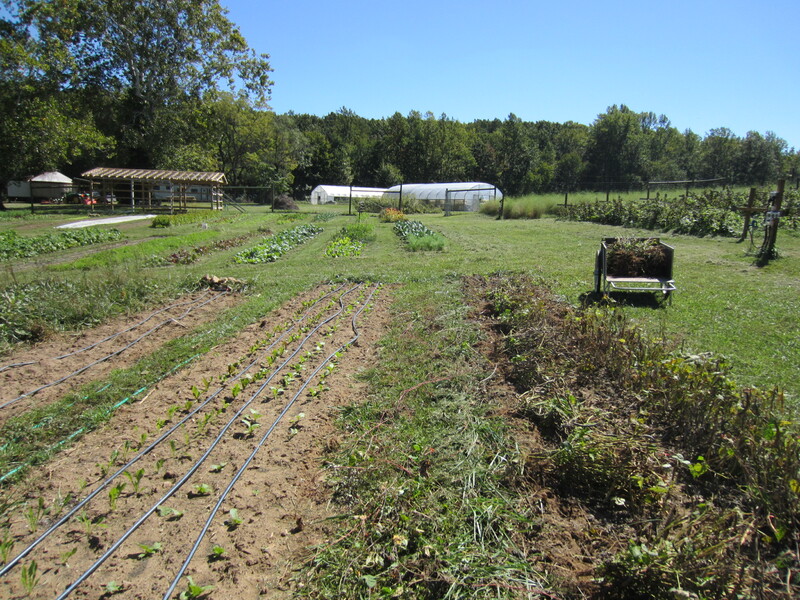 We’ve spent the last two days covering some of the more tender crops with row cover, and winterizing by taking hoses out the field and draining the irrigation manifolds. It’s been a whirlwind season, and it is almost time to shut things down for the winter and take a rest. 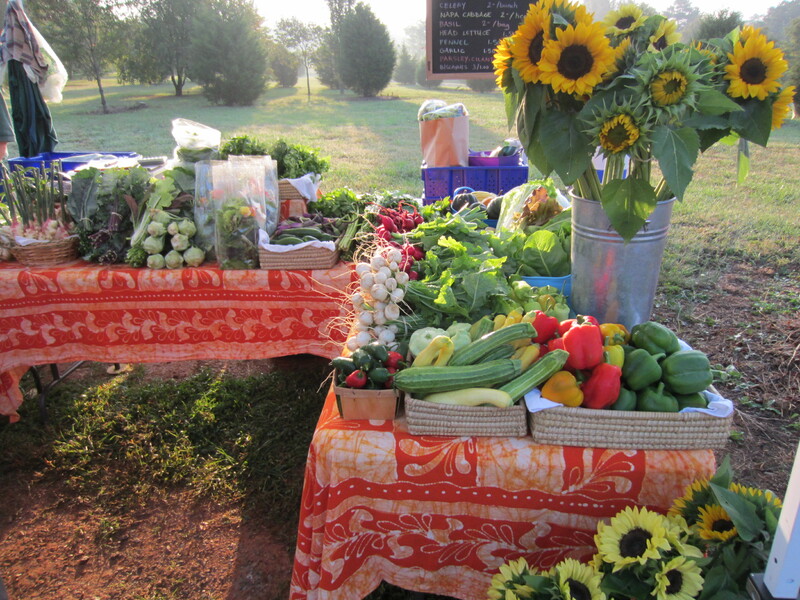 Your table of veggies for market was beautiful for so late in the season. 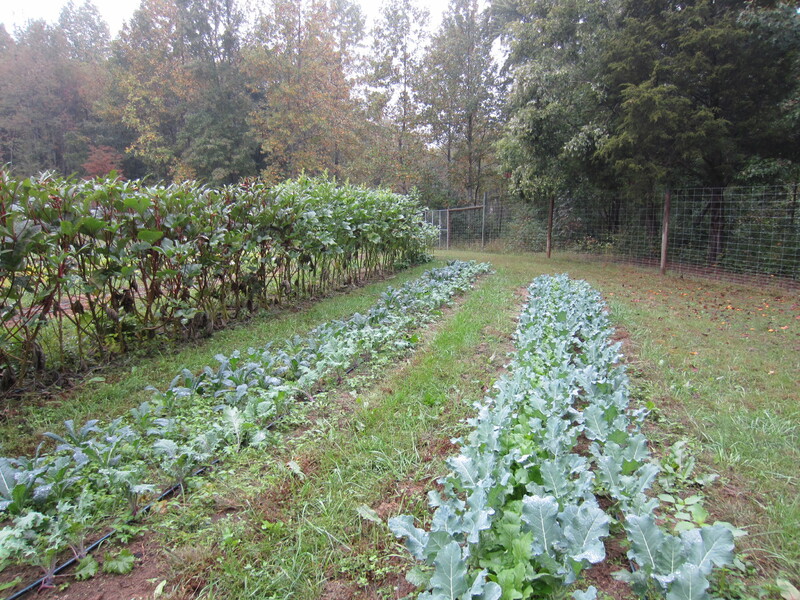 I am amazed at the crops and how they are doing in October. I would love to have some of your greens and sweet potatoes now. Yum. And the sunflowers are so pretty. This is the best time of year to grow. Now and May. It is easy to forgot the dismal mid-summer doldrums. Probably a good thing when you are winding down and thinking about next year’s garden to go out with a bang of awesome-looking crops. Once again, such beautiful, dreamy photos! I know they represent a ton of work on your end, but they look so idyllic and bountiful from over here. Thanks. I wish I could give a more complete view of the work that does go on here, but often I am the only one doing it, and it is dirty so I don’t want to fool with the camera.